by Andy Brown Rating:9 Release Date:2014-07-07 Label: Fortuna Pop! 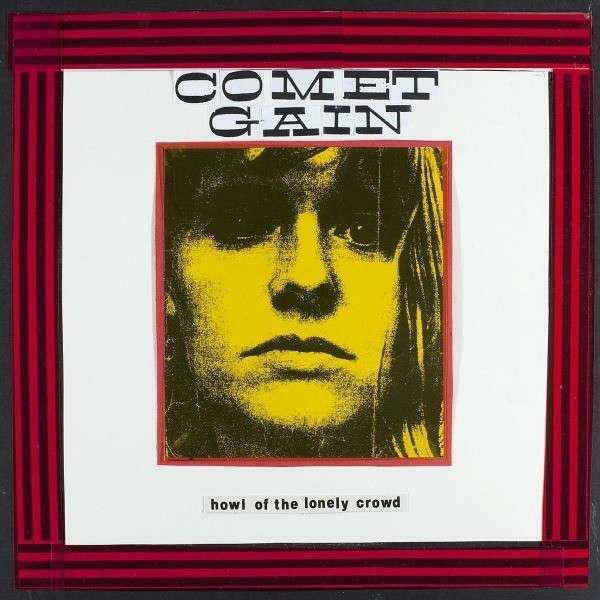 It’s been three years since Comet Gain released their last album, Howl of the Lonely Crowd and I was beginning to worry that one of the country’s finest bands had quietly called-it-a-day. Thankfully, any rumours of Comet Gain's demise have been greatly exaggerated as they return this month with a shiny new LP. When one of the most inspiring indie bands of the last twenty years returns, it’s definitely time to sit up and listen. Their last album was split into two distinct sides, Howling Hearts and Thee Memory Ache; the former displaying the bands more upbeat and noisy tendencies while the latter bared the bands bruised soul for all to see. Paperback Ghosts continues the second side’s reflective mood and as a result stands as one of the bands most accessible and overtly beautiful records to date. The conflict in Comet Gains sound has in some ways come to define their previous output as they readily mix indiepop, Northern Soul and fuzzed-up punk to great effect. This is what makes Paperback Ghosts an even more impressive release for a band well past its 20th anniversary. 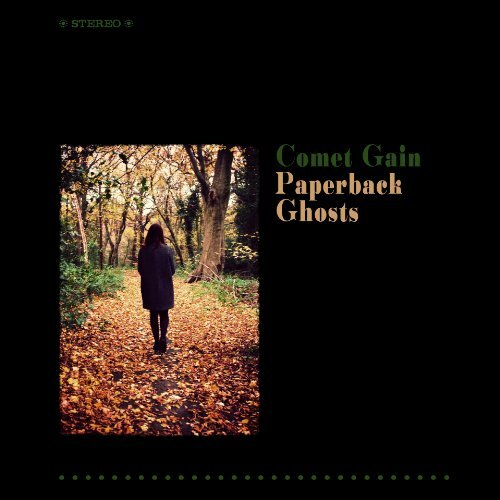 Paperback Ghosts has refined certain aspects of the band’s sound while jettisoning others; creating a cohesive and fresh sounding record in the process. From the opening swoon of ‘Long after Tonite’s Candles Are Blown’ the record retains a graceful, melancholic strength that’s utterly captivating. Founding Comet Gain member David Feck is on fine lyrical form from the beginning as he swoons, “we are holding on to life because heaven is a lie”. Yes, this is Comet Gains heartbreak record and they’re here to show us how to do it right. Sonically the album couldn’t be further away from some of the bands earlier, lo-fi enamoured records. Everything sounds crisp and clear, yet never overproduced. Paperback Ghosts mixes subtle string sections, timeless melodies and some of the bands finest harmonies to stunning affect. Just take the Byrds-ian jangle of break-up song, ‘Sad Love and Other Stories’; this kind of effortless magic seems to come naturally to these guys. 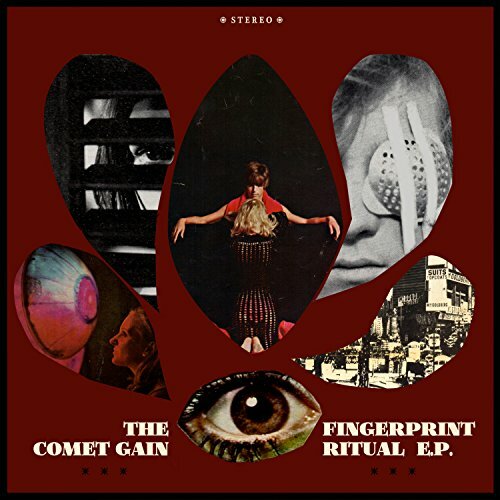 Comet Gain are a band that understand that while the whole song is important there’s often a key moment that can get under a listeners skin and send shivers up the spine. Paperback Ghosts has these moments in abundance. It’s difficult not to be affected while listening to the tender ‘Wait ‘Til December’ with its tale of regret and lost love. Yet it’s as Feck concludes with the refrain, “The leaves they fall on a wonderful, wonderful world” that you really appreciate its genius. Comet Gain have made many a classic album but even within such great company, this record stands out as something really special. Paperback Ghosts is certainly melancholic yet this never spills over into self-indulgence or self-pity. The record feels more intimate, more personal than anything that’s come before and will probably soundtrack more strolls through the park than Saturday nights in town, yet certain things remain the same. Comet Gain remain defiant until the end with a handful of records under their arm and some newly written songs to pull them through. As if to reassure us that they haven’t permanently ditched the occasional noisy psych-garage wig-out the album comes to a close with the Velvets-come -Syd Barrett racket of ‘Confessions of a Daydream’. You’re left wondering how they could make Paperback Ghosts any more perfect. I listened to this, and after initially being quite impressed, got a little bored with the relentless mid tempo. Maybe I need to listen again. For an album with more variation though give, City Fallen Leaves or Realistes a go. Both superb! Looking forward to this one! Does it finally include Avenue Girls, one of my favte singles from last year, but rarer than a Record Store Day promo to find?